ACCORDING to SOS Children’s Village statistics, Zambia has over 13,000 street children. WALKING on the streets of Lusaka in the evening is an enormous danger because a time bomb has detonated. 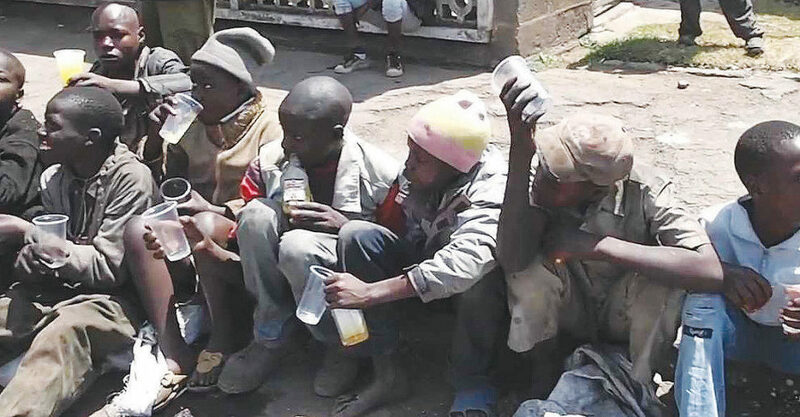 Groups of children-some intoxicated with alcohol and other drugs-who roam the streets with intentions of either begging for alms or pouncing on innocent citizens make it frightening for any ordinary Zambian to go out in the night. Cases of people being robbed of mobile phones, handbags and other possessions in the central business district, Northmead and Manda Hill area on Great East Road and on Independence Avenue around the SDA Church are quite common. Streetism is not only a public nuisance, but a social problem which has exposed the breakdown of the extended family in Zambia. Most of the children that roam the streets have families that have left them to fend for themselves due to sheer negligence by guardians and extended family members. Another reason is poverty – some children and adults work on the streets during the day and return home in the evening. As much as it is true that Zambia has over 1.2 million orphans and vulnerable children plus 8,470 child-headed households, some of them have relatives who can take care of them. The HIV and AIDS pandemic, which has claimed over one million lives in Zambia, has contributed greatly to child vulnerability and the culture of children living on the streets. Statistics indicate that in 2009 there were over 690,000 AIDS orphans in the country, and these made up half of all orphans in the country. Some children are abandoned when their parents die of AIDS due to stigma or a simple lack of resources, while others run away from their guardians due to maltreatment. According to SOS Children’s Village statistics, Zambia has over 13,000 street children, 8,470 child-headed households and about 1.2 million orphans who need parental care. But whose responsibility is it to care for orphans and vulnerable children (OVC), some who head households and others who end up on the streets? The SOS Children’s Village feels the introduction of foster care would address the increasing number of orphans and vulnerable children living on the streets in Zambia. Foster care is a way of providing a family life for children who are either orphaned or for some reason cannot live with their own parents. However, formal foster care is still not a popular mode of alternative care for OVC in Zambia due to misconceptions and cultural beliefs. This is why some non-governmental organisations are trying hard to educate Zambians on the importance of foster care. Research by the SOS Children’s Villages Zambia shows that the number of children under foster care in Zambia is small because of limited knowledge by the community on the procedure of child fostering, the relevance of child fostering and lack of incentives from Government for families who may want to foster children. The organisation is working with civic leaders to convince Government to prioritise foster care formation in Zambia to curb the culture of children growing up on the streets. SOS Children’s Villages Zambia national director Joseph Munsanje said civic leaders should lobby Government to adopt this approach to help children who are currently living without parental care. His organisation has about 583 OVC under its care and provides support to 7,817 other vulnerable children in the communities. Mr Munsanje said they believe that no child should grow up alone and that all stakeholders should collaborate to uphold the rights of a child to grow up in a family environment. Zambia can take a leaf from Rwanda, where the foster care system has worked well after the 1994 genocide, which left thousands of children without parents and guardians. Thousands of children were sent into orphanages after the genocide but a campaign to encourage foster care was launched which led to over 2,000 orphans being reintegrated into foster families by 2012. The campaign aims at mobilising the community to create safe family environments for children and encourage families to receive children living in orphanages. Today, no child roams the streets of Kigali because families have adopted all the children who lost their parents in the genocide. Zambia has a similar tradition that demands that the living should take care of orphans, whether they be related or not. But the numbers of children living and working on the streets indicate that foster care remains a far-fetched dream. However, Government has been making several attempts to remove children from the streets in Lusaka and Copperbelt provinces but the impact of such programmes has not been felt. The Ministry of Youth and Sport had once started a skills training programme for street children at the Chiwoko Zambia National Service camp in Katete, but the programme was halted after training some youths. After this programme, Government opened some transit centres where street children are being kept before transferring them to orphanages or re-integrating them into the families. 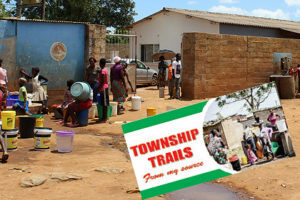 However, the problem is made worse by the migration of OVC from other parts of the country to the capital Lusaka, where they think street life is a bit comfortable. The Ministry of Youth and Sport is working at rehabilitating such children and sending them back to their families. In addition to this initiative, Government is considering a social protection scheme that will target parents and guardians of street children in Lusaka and Copperbelt provinces, where the problem seems worse. Minister of Community Development and Social Welfare Emerine Kabanshi says Government will soon launch a social protection programme aimed at removing street kids from the highways by empowering their parents and guardians. Ms Kabanshi noted that most children in Lusaka and Copperbelt have been forced to live on the streets due to poverty in their homes. She said the programme is designed to alleviate poverty in the affected families so that children do not go on the streets to beg. “The programme will be launched in Mufulira on the Copperbelt as a pilot project and later be rolled out to all parts of the country where streetism is endemic,” Ms Kabanshi said when she called on Senior Chieftainess Nkomesha in Chongwe recently. Ms Kabanshi’s proposed programme of removing children from the streets is premised on the understanding that the home is the best place to bring up a child. Perhaps going the Rwanda way of getting foster parents to adopt OVC could help Zambia to provide such children with a safe and friendly environment to live in.